Could we have our first look at the newest set of Worlds skins? We’re already approaching the playoffs of the 2019 Spring Split for most regions, and yet we still haven’t gotten any word on Invictus Gaming’s Worlds skins from 2018. Fortunately for League of Legends fans, it looks like we might have an idea of what champions will be getting the IG-themed skins, thanks to IG jungler Gao “Ning” Zhen-Ning. Two months ago, Invictus Gaming’s AD Carry Yu “JackeyLove” Wen-bo revealed that his Worlds skin was going to be for Kai’sa, which was no surprise. 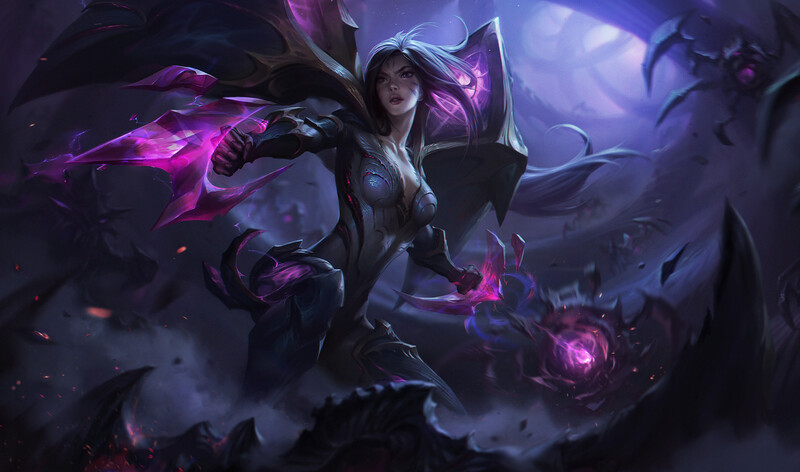 The talented ADC chose Kai’sa in 10 of the 18 games he played at the World Championships, and he also had a dominant performance with her against Fnatic in the Grand Finals. Now, Ning has seemingly leaked the rest of the skins as well. Ning leaked iG champion skins on his stream: Fiora Irelia Camille Leblanc Kai’sa Rakan According to Ning the Kai’sa and Rakan ones are hideous, but other four are awesome. Ning apparently leaked the upcoming skins on his stream. Alongside Kai’sa, Fiora, Irelia, Camille, Leblanc, and Rakan will all be getting Invictus Gaming themed skins. Ning also playfully called the Kai’sa and Rakan skins hideous, but said the rest look awesome. It should be interesting to see if this leak is true, given that Riot has said it doesn’t want to release Xayah and Rakan skins separately. Additionally, Rakan already has a Worlds-themed skin when Samsung Galaxy won in 2017. It isn’t impossible that a champion gets two Worlds skins, but it does make it unlikely. The rest of the skins, however, are all possible. Camille was Ning’s most played champion at Worlds, while LeBlanc was played by superstar mid laner Song “Rookie” Eui-jin five times at the tournament. Fiora is an interesting choice, given that both top laner Kang “TheShy” Seung-lok didn’t have a great track record on the champion at Worlds. Ultimately, all we can do is wait for these skins to drop and hope that they look great.